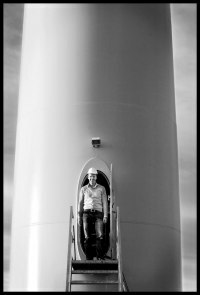 Östlund Consulting Wind are specialized in Asset Managent of wind power production. CEO for Fibonacci Vind Sverige (ongoing). Asset Management and CEO for Kalix Wind (ongoing). Asset Management and CEO for PWP (ongoing). Asset Management och CEO for Gnosjö Energi (ongoing). Market introduction of Gamesa Eolicas wind turbines on the Swedish market. Established partnership between Triventus Sercice and Gamesa Eolica. Östlund Consulting was established in 1995 by Tord Östlund. The first assignment was a servicecontract with Vattenfall Ringhals in 1995. Östlund Consulting Wind AB hold AAA credit rating and is audited by BAKER TILLY Sweden.